Does your car truck or van need a Massachusetts State Motor Vehicle Inspection? Stop by the inspection station Malden, MA residents go to for there annual inspections at Eli & Gary's. We are an official Massachusetts State Inspection Station. Stop by any time during our regular repair hours. No appointment is necessary. Need an Inspection Sticker in Malden, MA? Look no further then Eli & Gary's Automotive Service station. 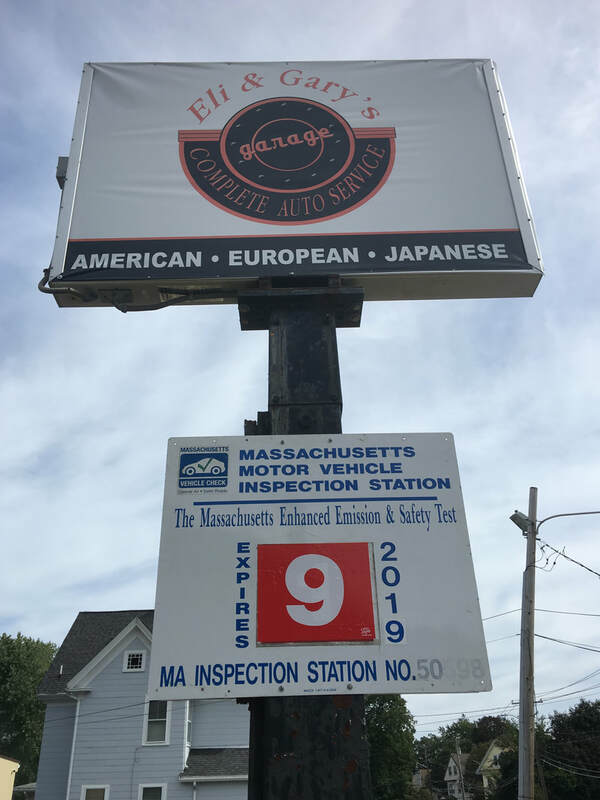 We are your local Mass Inspection Station, conveniently located at 12 Beach Street in Malden, MA. Blocks away from Route 99 Broadway and Route 1. ​We are a registered Mass Inspection Station providing inspections on all vehicles that weigh up to 10,000 pounds. How Much Does an Inspection Cost in Massachusetts? Your safety/emission inspection costs $35.00 annually, and needs to be renewed for the the expiration date on the current sticker. New vehicles are required to get an inspection within seven days of registering your vehicle. Driving with an expired inspection sticker is a moving violation in Massachusetts. Uber and Lyft vehicles are now required to have additional items inspected inside the vehicle. Stop by Eli & Garys for your TNC inspection today!